Top Treatment, cornice board, Mt Juliet, TN. Complement your drapery with a custom cornice Top Treatments. Choose from an elegant array of contoured cornices. 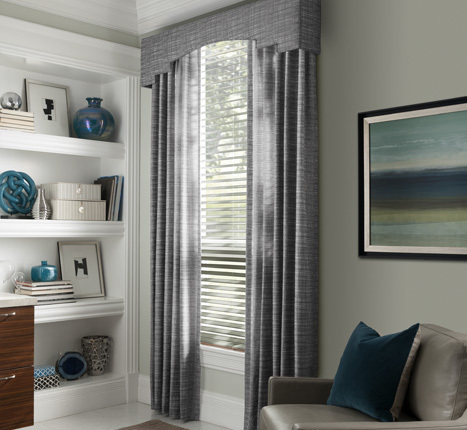 With your design, or we can assist you in desiging one Top treatments enhance your draperies, blinds or shades. They can also be used as a stand-alone window dressing. Copyright © 201 Morgan Drapery & Upholstery inc. All rights reserved.